A One Time Password Authentication package, compatible with Google Authenticator. bacon/bacon-qr-code: Required to generate inline QR Codes. Google2FA is a PHP implementation of the Google Two-Factor Authentication Module, supporting the HMAC-Based One-time Password (HOTP) algorithm specified in RFC 4226 and the Time-based One-time Password (TOTP) algorithm specified in RFC 6238. This package is a Laravel bridge to Google2FA's PHP package. 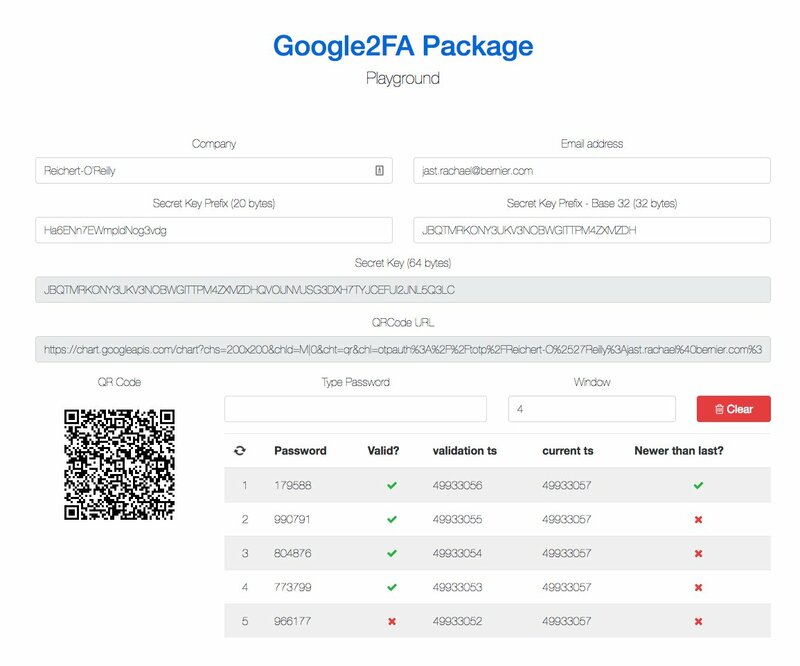 The intent of this package is to create QRCodes for Google2FA and check user typed codes. If you need to create backup/recovery codes, please check below. if you need to create recovery or backup codes to provide a way for your users to recover a lost account, you can use the Recovery Package. Please check the Google2FA Package Playground. 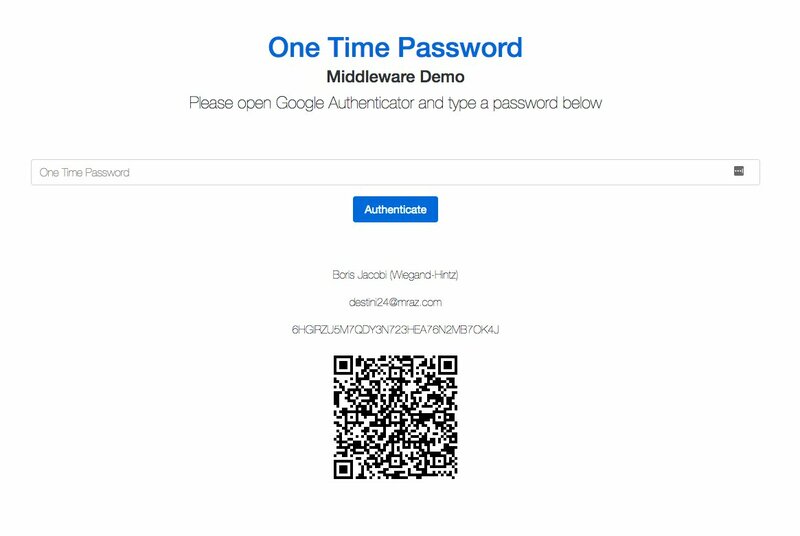 Here's an demo app showing how to use Google2FA: google2fa-example. You can scan the QR code on this (old) demo page with a Google Authenticator app and view the code changing (almost) in real time. Before Google2FA 2.0 (Laravel 5.1) you have to install pragmarx/google2fa:~1.0, because this package was both a Laravel package and a PHP (agnostic). You don't have to do anything else, this package autoloads the Service Provider and create the Alias, using the new Auto-Discovery feature. * In case you need your users to be asked for a new one time passwords from time to time. * Renew lifetime at every new request. Check the ReadMe file in the main Google2FA repository. The package tests were written with phpspec. Pull requests and issues are more than welcome.